The Irenic Ocean, also known as Irenia or Irenian Ocean, is the water body that surrounds most of SW City Territory (only a few areas are located in the Outerlands). 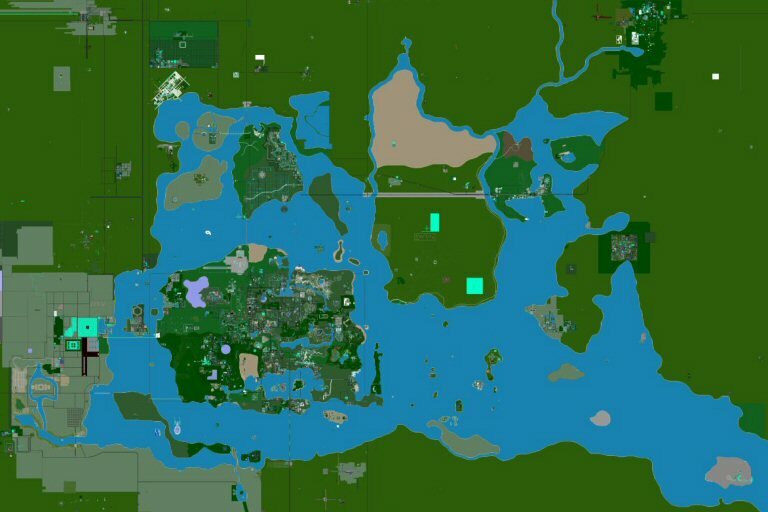 Irenia ia also the largest water body in all of Alphaworld. The word Irenic means "One which favors peace", demonstrated by the ocean's passive, calm nature. The water body is approximately 3000 coordinates east-west, and 1500 north-south. Surface water bodies in Alphaworld are rare as most of it seeps down into the Planetary Veins. Irenic Ocean is the result of the Shezoagis Slab, a massive stone slab. The slab acts as a secure bowl for the ocean, preventing it from seeping into the veins. Tens of thousands of years ago, the slab was filled with sand and soil which resulted in a giant swampland. The giant slab however, under its own weight, sunk and receded into the planet causing the ocean to become deeper and deeper. A combination of many things such as pressure, shifts in the planet, tremors and volcanoes, causes the slab to grow and deform. Eventually the swamp was sunk and forgotten. The ocean still changes today by shifts in the slab, while the ocean becomes deeper and deeper. As Alphaworld came in contact with other planets and their civilizations, they argued that Irenic Ocean is not considered an ocean by every other planet's standards. Alphians consider it an ocean only by comparison of everything else, and are reluctant to rename it. Most offlanders call it Irenic Lake.